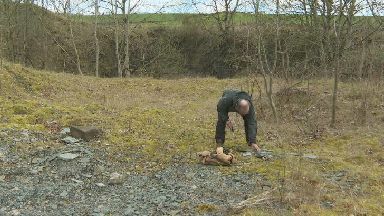 A prolific fossil hunter believes his fellow Scots hold the key to unlocking the past. Bob Davidson has spent half his life digging up more than 700 prehistoric specimens - including a new species of jawless fossil fish which is 420 million years old. He has written 18 scientific papers and has just been awarded an MBE for his substantial contribution to palaeontology in Scotland. Now aged 66, Bob has cut back on the exhaustive field digs, and spends most days off at home in Peterculter, near Aberdeen, with his family, cocooned in an office crammed full of prehistoric treasures. 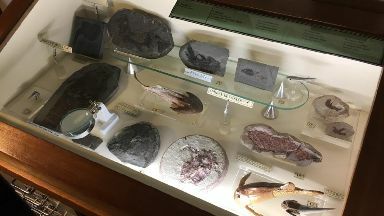 He wants to inspire others to go fossil hunting for themselves - and believes plenty of specimens await discovery at Cromarty foreshore, Eathie beach and near Cowie in Stonehaven. "I began collecting in the 1980s," he said. "What hooks people is the real magic of a fossil is when you find it - you're the first person to ever see it. "You can share it with others and put it out on display. The most noble reason for collecting, I think, is to share it with the scientific community - which is what I've been doing over the years. "I'm filled with wonder every time I split a rock and there's a fish there. "When you crack it [a rock] open, there's always a scream. "It has always been a niche interest and in Scotland there's only ever been a handful of people looking for these fossils." 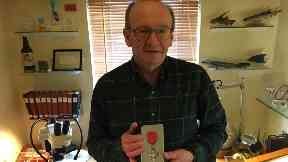 Bob said being recognised for his work by the Queen had left him feeling humbled. He said: "When I got the letter from the Cabinet Office I immediately thought I must done something wrong. "To stand next to all the great and the good - alongside someone who fights modern slavery - you'd never expect it to happen to yourself. "Someone must think I deserve it."